A shuttering work is going on at site and an UNSAFE ACT has been observed. 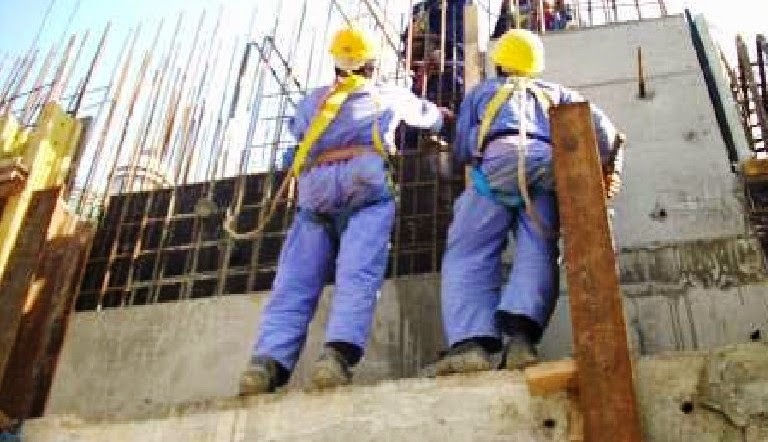 As shown on the photo below, the two workers were fixing shutter at the edge of shoring without a working platform. Shuttering works were carried out without a safe working platform neither a proper access for work at heights. Further information, there was no risk assessment and lack of supervision. All shuttering and de-shuttering works shall be carried out under proper supervision. There must be a proper working platform and access & egress to be provided for all shuttering and de-shuttering works. Only competent workers will be allowed to do the shuttering and de-shuttering works in high risk situation or areas. Regular tool box talks will be conducted to all concerned workers and high risks points to be highlighted during discussion and ensure all workers were understood prior commencing any shuttering and de-shuttering activity. Work shall be carried out as per the approved method statement applying all requirements, procedures and safety measures as mentioned on the risks assessment. "Management and Senior staffs should not allow any work to commence unless risk assessment has been properly carried out".